Shifting issues are always frustrating but in some cases, they could even lead to damage to your bike or cause an accident. If you are experiencing consistent clicking as you pedal, inconsistent shifting or if you can’t shift into some cogs on your cassette, knowing how to adjust your rear derailleur could help you solve or at least diagnose your problem. 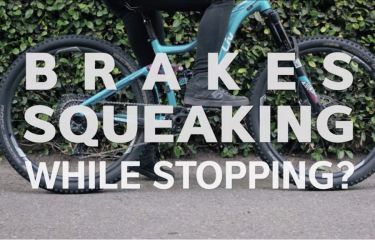 Below you will learn some common issues that could be causing your shifting woes and basic rear derailleur adjustments that will help you shift a little easier. Stay tuned for a future article about adjusting your front derailleur and how to replace cable and housing. Before making any adjustments, there are a few things on your bike that could be broken or worn-out, causing shifting issues. Chain wear or “stretch” occurs naturally over time as you ride. The rollers and pins that hold your chain together wear down with every ride, a process that can happen more quickly if you ride in adverse conditions. This wear will actually lengthen each link. If you keep riding with a worn out chain, it will start to cause the teeth on your cassette and chainrings to wear as well. This damage cannot be reversed, so it’s a good idea to check your chain wear often and replace the chain… or you might find yourself having to replace the whole drivetrain. If you are experiencing chain skip, if your chain is falling off unexpectedly or if your shifting is just generally rough, always check your chain wear. Even if you are not experiencing problems, checking chain wear once a month is a good idea. Here’s how: Get yourself a chain checker tool! This tool isn’t expensive and it is a sure-fire way to know when you need to replace your chain. On the tool, you will see a 0.5% on one side and 0.75% on the other. On most 11 and 12-speed chains, the manufacturer suggests replacing the chain when it reaches 0.5% wear. With the 0.5 visible on the bottom of the tool, use the hook on the left side to secure the tool onto a roller in your chain, if the opposite end slides between two rollers instead of sitting on top, you have a worn out chain and should replace it before further adjusting your derailleur to fix any issue. Damaged housing or frayed cable can both be the culprits behind your shifting problems. Inspect the housing where it is visible, from the front of the bike where it connects to the shifter levers to the back where it connects to the derailleur. Housing that has an extreme bend or pinch could be restricting the movement of the cable that moves your derailleur as you shift. If any damage is spotted, replace the housing and cable. A common place where the cable could be frayed is where it makes the bend at the derailleur and is secured with a bolt. If you notice any frayed cable, replace the cable only. Keep in mind, if you have a bike with internal cable routing, there could be issues going on inside the frame that you are not seeing. Replacing cable and housing may be necessary to properly diagnose your problem. A bent derailleur hanger is an extremely common problem which can cause shifting issues and even cause your chain to shift into the spokes. If this happens, you could be looking at even more problems: like broken spokes or a broken derailleur. Derailleur hangers are made of soft metal and can bend easily. If you have had a fall, your bike fell over in the garage, or you have stored or shipped your bike, it is a good idea to check your derailleur hanger before you head out on a ride. From behind your bike, take a look at your hanger. It should be parallel with the cogs in your cassette. Even a small bend or twist could be causing shifting issues. If you think your derailleur hanger may be bent, using a derailleur hanger alignment gauge is the only way to know for sure. This tool will also enable you to attempt to bend the derailleur back to its proper position. If the hanger is too bent for repair, replace it. If you have checked for chain wear, cable and housing wear and ensured your derailleur hanger is properly aligned, then your next step is to adjust the derailleur. There are three basic adjustments that can be made to the rear derailleur to help it perform as it was intended: Limit screw settings, “B” tension, and cable tension. The derailleur’s job is to move the chain up and down the cogs in your cassette. The limit screws tell the derailleur when to stop, so your chain doesn’t fall into the spokes or off the smallest cog and into the dropout of your frame. If you are having issues shifting into the smallest or largest cog in your cassette or if your chain is falling off the cassette, you will need to check your limit screw settings. When adjusting limit screws, tightening (clockwise) the screws will always restrict movement of the chain outward and loosening the limit screw (counterclockwise) will allow the chain to move farther outward toward the spokes or dropout. The low limit prevents the derailleur moving in toward the spokes. When properly adjusted, the low limit will allow the chain to sit in the largest cog on the cassette while pedaling without skipping or pushing the chain past the cassette and into the spokes. First, make sure the low limit isn’t set too far out/ ensure you will not shift into the spokes. Shift into a small ring on the cassette. With your thumb, push the body of the derailleur toward the large cog. The top pulley should align with the largest cog in the cassette. If the pulley moves past the largest cog toward the spokes, turn the limit screw marked “L” clockwise to tighten. Shift into the second largest cog in the cassette. If you cannot shift into this gear, you likely have a cable tension issue. To ensure limit screw is set properly, move the derailleur into the largest cog with your thumb and hold it there while pedaling forward. If the chain is jumping at all, loosen the “L” limit screw a quarter turn until chain jumping isn’t present. The high limit allows the chain to move into the smallest cog of the cassette without falling off the cassette and into the dropout of the frame. Shift into the smallest cog on the cassette. If the derailleur will not shift into the smallest cog, check the cable tension and remove tension if necessary using the process outlined below. Once cable tension has been removed, try shifting again into the smallest cog. Notice if the top pulley in the derailleur is directly under the smallest cog. If it is too far in toward the cassette, turn the “H” screw counterclockwise. If the pulley is too far out toward the dropout of the frame, turn the “H” screw clockwise. When the chain is riding on the smallest cog, pedal forward and notice the behavior of the chain. If the chain is making noise or rubbing the next cog, loosen the “H” screw a quarter turn until the noise/rub disappears. If the chain is jumping, it may be trying to move off the cassette meaning the high limit is too far out. Tighten the “H” screw a quarter turn until chain movement disappears. The “B” tension screw affects the body angle of the derailleur. If this setting is off, it can create inaccurate shifting. Shift into the second largest cog in the cassette. If the top pulley is very close to the largest cog or touches the largest cog, the “B” tension is too low. Tighten the screw by turning it clockwise to move the pulley farther away from the cassette. If the “B” tension screw is too tight, the pulley will be far away from the cassette and create inaccurate shifting. While you shouldn’t have to adjust the limit screws once they are properly placed, you may find yourself adjusting your cable tension as you rack up the miles. Sometimes this phenomenon is called “cable stretch.” But, really, the cable isn’t “stretching,” it is just getting settled into the housing. As this happens, it is common to have to tighten the cable to preserve smooth shifting. To do this, you will use the barrel adjuster. This device is usually located near where your cable exits the housing on the rear derailleur. Knowing what happens as you turn the barrel adjuster is helpful when you go to add or remove tension. When you turn the barrel adjuster clockwise, you are screwing it in and reducing the amount of space between each end of the cable and, therefore, reducing the tension on the cable. If you turn the barrel adjuster counterclockwise, you are screwing it out and adding more space between each end of the cable and adding tension to the cable. Shift into the smallest cog on the cassette. While pedaling the bike, shift one cog larger by clicking the shifter lever. If the derailleur doesn’t move the chain into the next cog or hesitates, add one-quarter turn of cable tension (counterclockwise on the barrel adjuster) and try again until the derailleur easily shifts into the next cog. If you click the shifter lever once to go into a larger cog and the chain skips up two cogs in the cassette or begins rubbing on the next highest cog, remove cable tension by turning the barrel adjuster clockwise one-quarter turn at a time. Continue to shift into larger rings. If derailleur does not succeed in shifting the chain into the next largest ring or hesitates, add cable tension. Once you get to the largest cog, shift back into the smallest rings. If there is any hesitation or the chain will not shift back into the smaller rings, remove cable tension until the shift is successful. Continue with this process until shifting is smooth with no excessive noise.